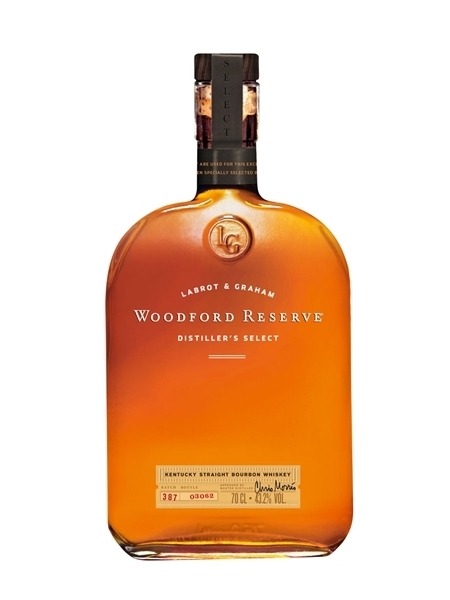 Woodford Reserve (~€40) is a Brown-Forman Corporation brand of Kentucky Straight Bourbon. For bourbon, the mash bill has to contain at least 51% corn, with the remainder coming from malted barley, wheat or rye. 18% of the mashbill for Woodford Reserve is rye, which is unusually high. This bourbon is triple distilled - also unusual. It is bottled at 43.2% ABV.